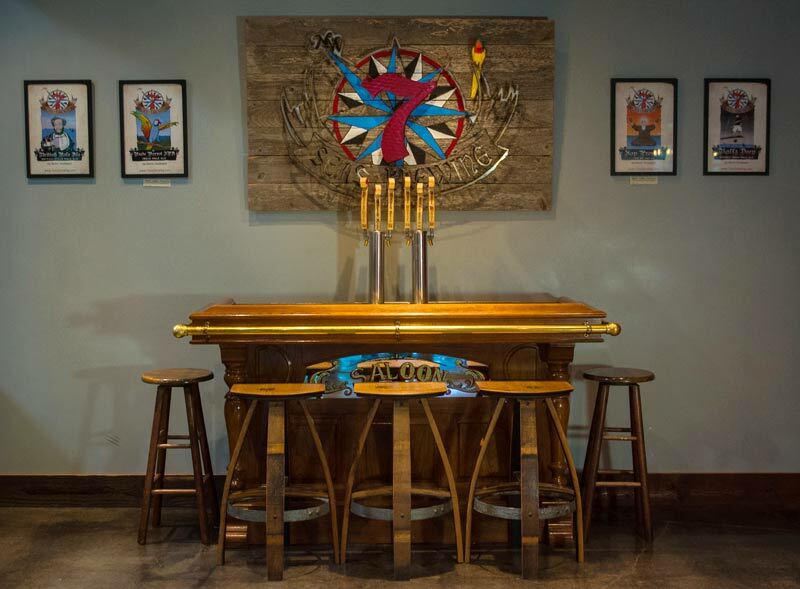 Gig Harbor’s 7 Seas Brewing has been a destination since its opening five years ago. 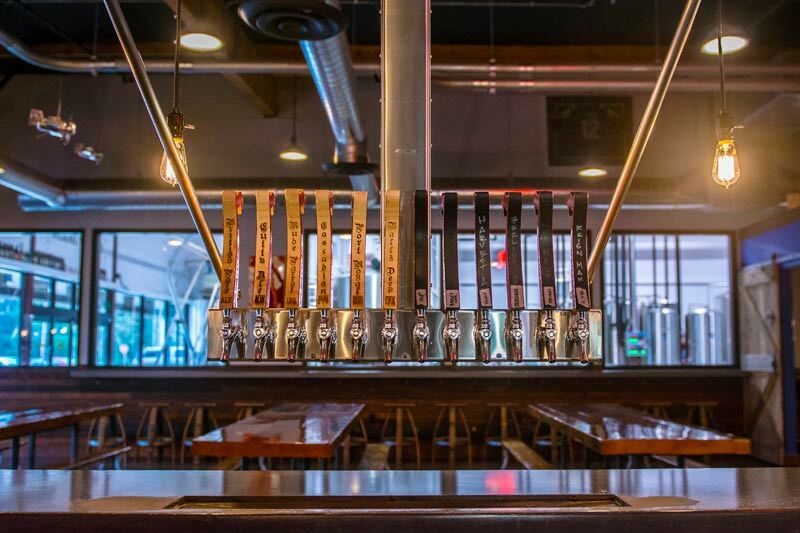 The tap room is a busy place any time of the year — but this Saturday, 7 Seas will give fans a real party between noon and 8 p.m. (21 and over only). To celebrate its anniversary, the brewery is bringing in several bands and will serve up food to go with the beer. There is a $3 admission fee but the entire amount will go to the musicians. The lineup includes Ben Union, C-Leb & The Kettle Black, Perry Acker, Four On The Floor and Red Stone Sinners. 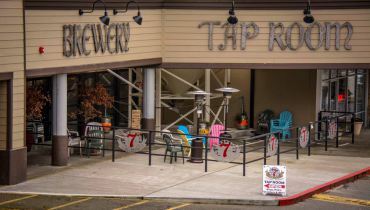 The 7 Seas Brewing Tap Room, which overlooks the brewing facility. 7 Seas has gone through some rough patches in its early days — its first downtown location in 2008 was destroyed by a fire. 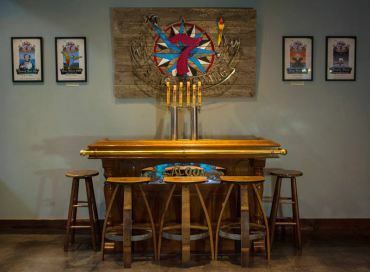 But the two owners, Mike Runion and Travis Guterson, started over at a new spot near Gig Harbor Inn, and have grown their business ever since. After outgrowing the space, 7 Seas moved downtown to Judson Street in 2012, and extended its new taproom to an outdoor patio. 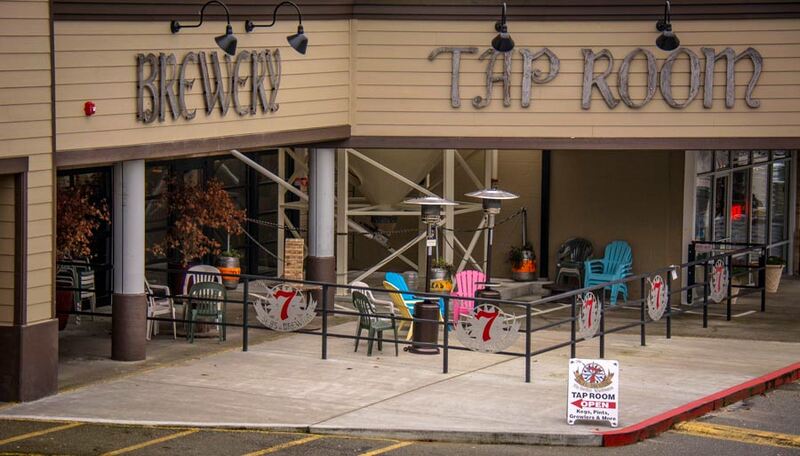 If you drive by the brewery on any given day in fair weather, you’re likely to spot a crowd of patrons enjoying a conversation (and beer, of course) outside. The brewery is not just popular in Gig Harbor. The company sells beer all over Western Washington, including at many local grocery stores and restaurants. According to Mike Runion, company president, the July 12 bash is an opportunity for him and his business partner to say thanks for the community support and to all those people who have helped the business be successful. “And we are extremely thankful! A day of beer, food and music in our beautiful downtown waterfront,” he says. Food offered at the party will include “the world famous” Buck-B-Q and selections from Tizley’s Euro Pub. Beer and merchandise will be on sale. Even dogs on leash are welcome (as long as they party responsibly).